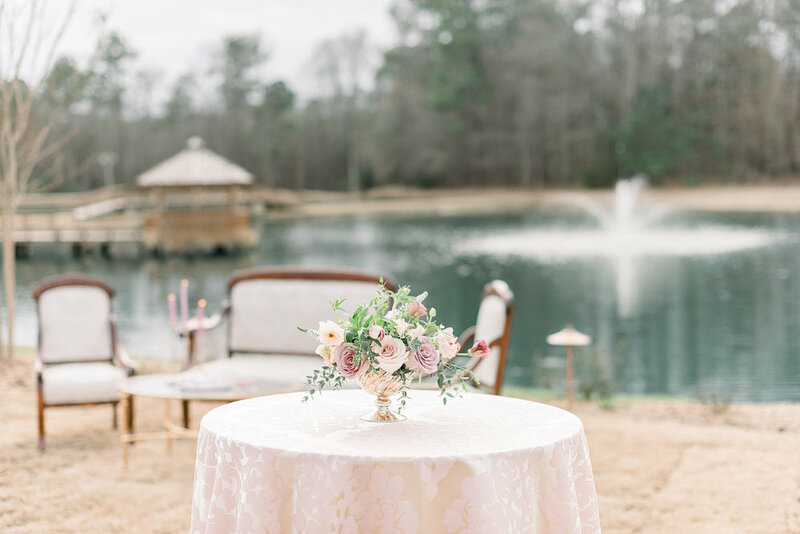 Just outside the steps of the farm house lies a gorgeous ceremony space for your nuptials. The spacious lawn looks breathtaking in every season! 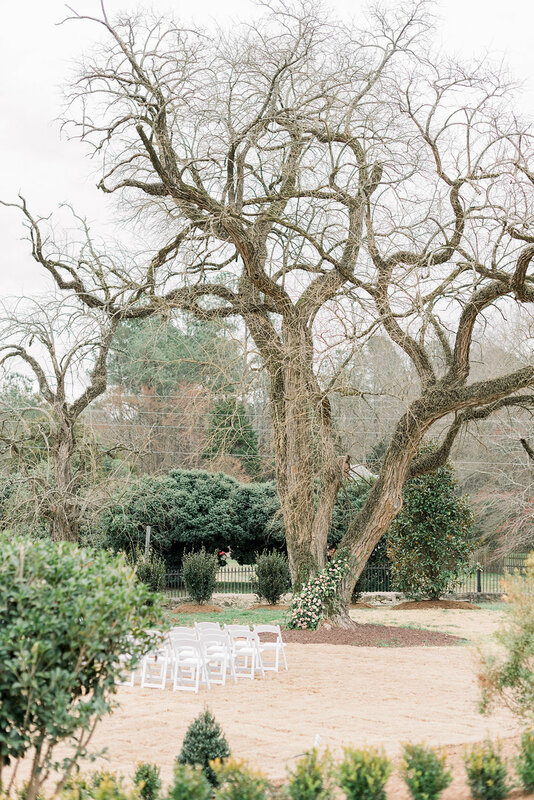 Here Folie á Deux worked her magic to create a sprawling installation of florals along the side of the large tree that marks the ceremony location. Now that we’ve had a few cocktails from POUR Bar Services (and snagged an extra one for dinner) lets head into the reception area just inside the barn. This wide open barn space allows for so many options in decor! Complete with onsite kitchen area for you to bring in your own caterer. 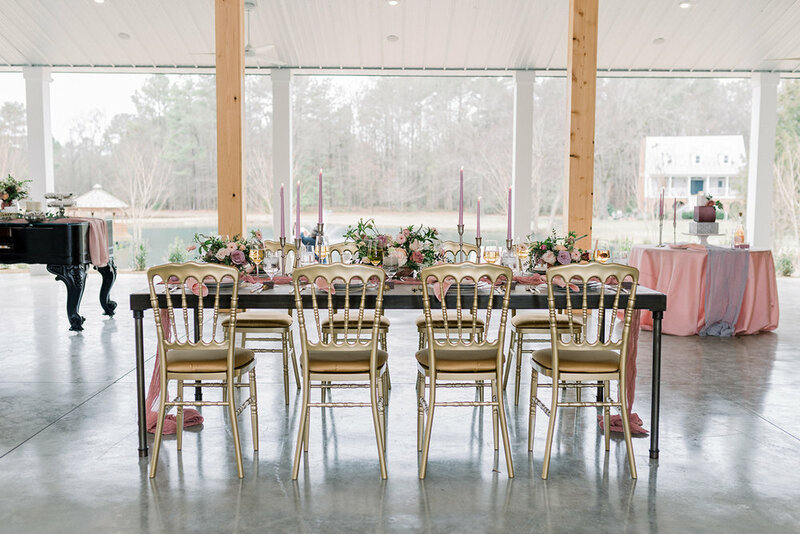 Again Folie A deux created some seriously stellar table designs, Party Reflections brought in some elegant coordinating table-settings and Timeless Love Weddings pulled everything together and ran the event seamlessly. 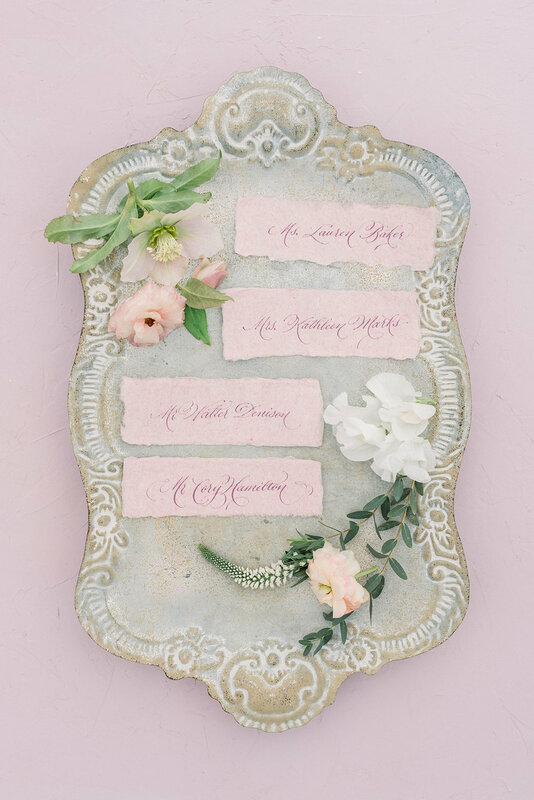 Blush and Blue Designs provided stationery and calligraphy services for all the details of course. TREND SPOTTING ALERT! Scrumptious wedding favors included hand made truffles from Choco Sweetness and were perfectly displayed on a massive piano. Such a unique and delicious idea. Favor boxes were also provided for each guest with their names elegantly scripted in calligraphy. My favorite part :) The invitation for this wedding was lacking no level of elegance. 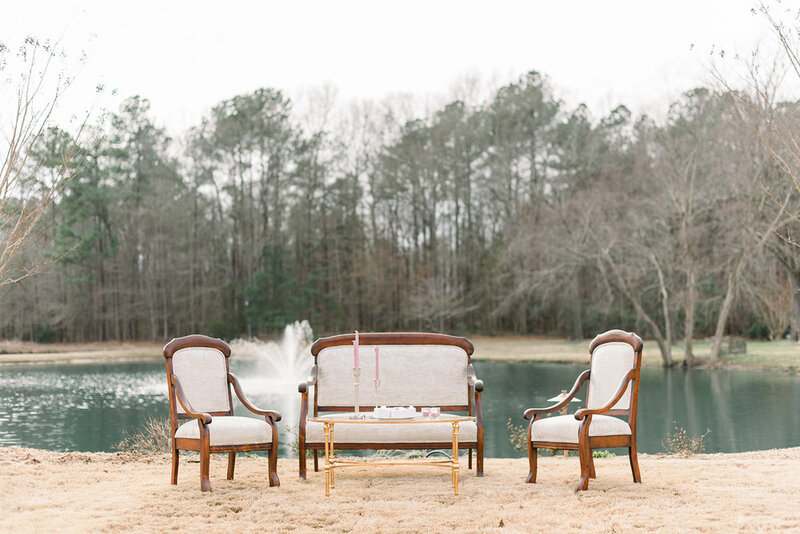 Using soft and luxurious hand made paper in pinks and whites I (Blush and Blue Designs) created a suite that felt modern yet soft and delicate. I wanted the beautiful papers to really shine and be the star of the show for this suite, so artwork and type was kept minimal and set in a light grey. 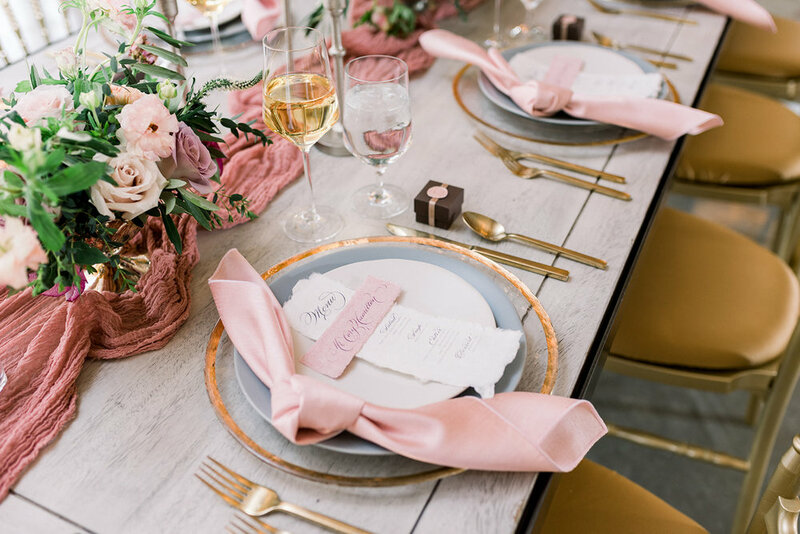 This one-color suite ensured everything felt unified and that the paper really did the talking for the event guests could expect. 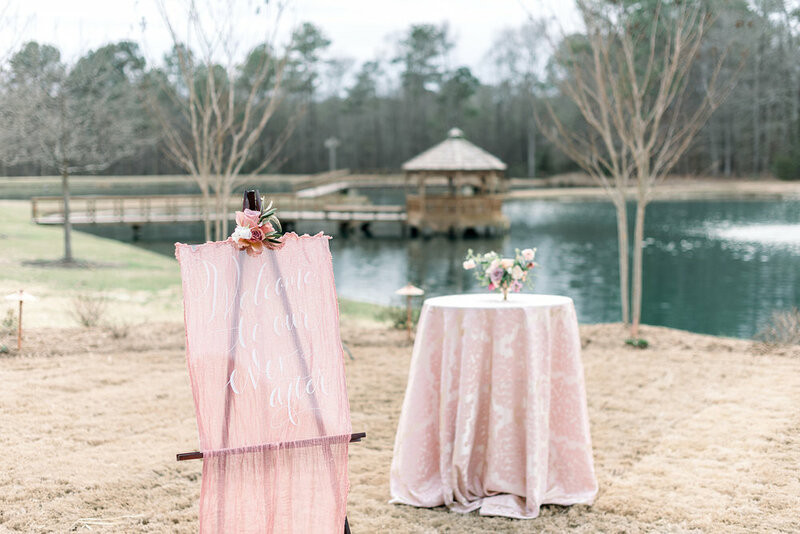 A small illustration of the Walnut Hill Farm House gave a sneak peek to the ceremony location and the envelope liners brought in the remaining pieces of the color palette while also allowing for some creative use of watercolor florals to dress the envelopes.